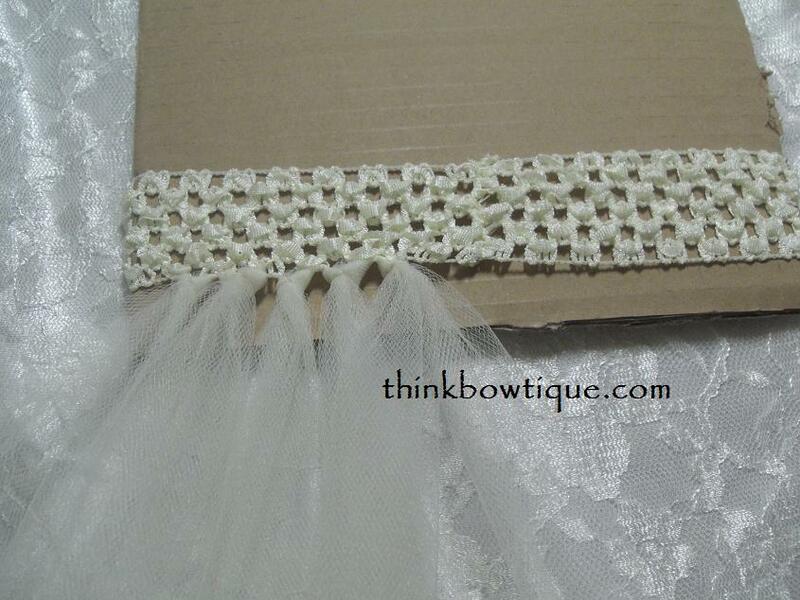 How to make a tutu with a crochet headband. Home » Fun to make » My first attempt at making a tutu. My first attempt at making a tutu. I must say it was great fun and I can already feel the need to make more. I had googled a few tutu making instructions some were made with elastic, some with ribbon and some with crochet headbands. After a little advise from facebook fans I decided to try with the 1.5″ crochet headband. This is how I made a tutu with a crochet headband. I cut a flap of cardboard box. The size was 21cm x 42cm. I decided that I wanted my tutu to be about 24cm long. So I cut the cardboard to 21cm x 26cm and I kept the 21cm x 16cm for the crochet headband. 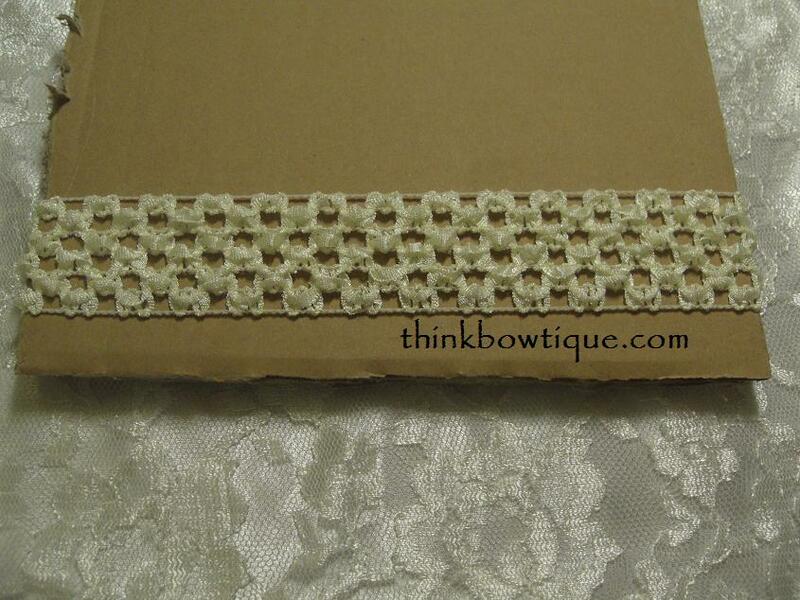 I placed the crochet headband on the 21x16cm cardboard and counted the holes. This one had 30 holes. 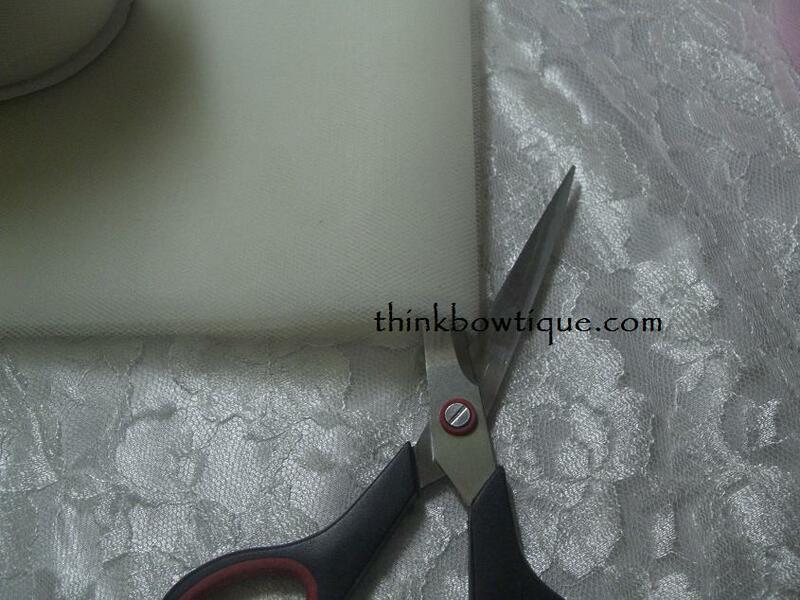 If I am going to do two rows I will need 60 lengths of tulle. 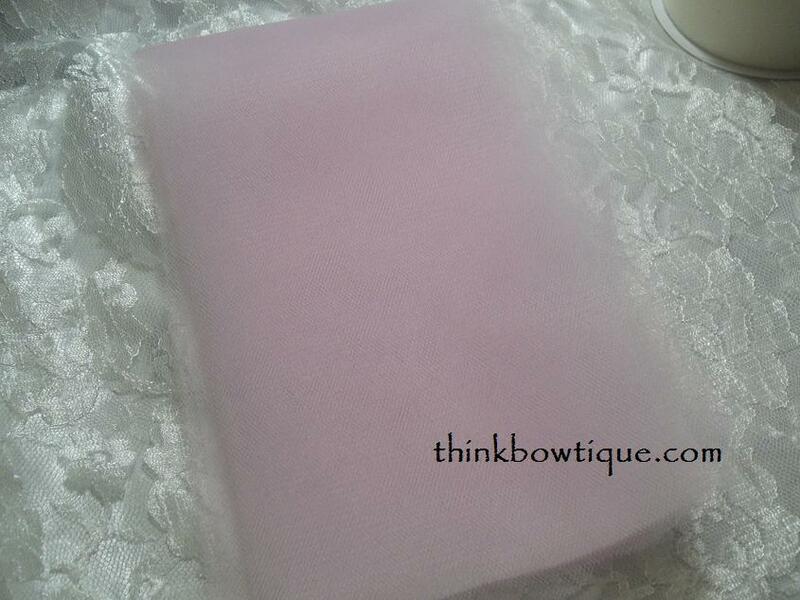 I have decide to make my tutu with 2 colours ivory and light pink. 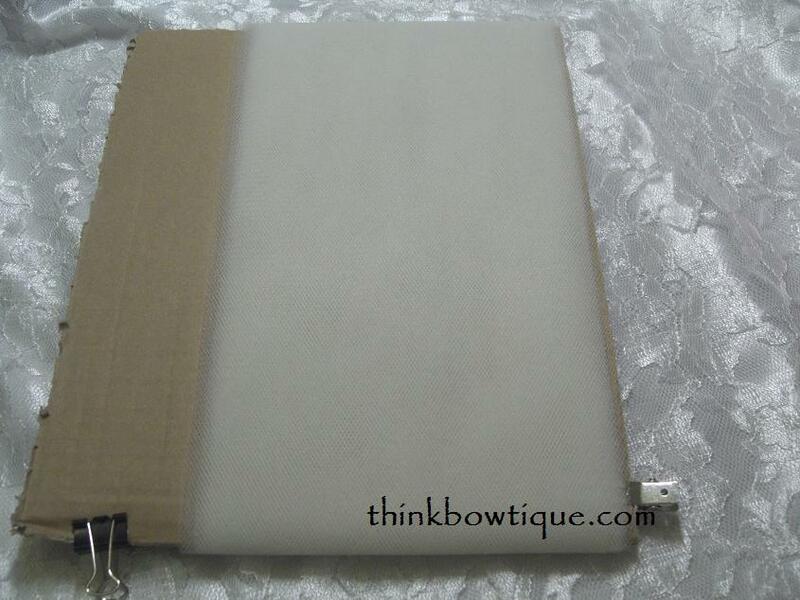 I than took one of our ivory 6″ x 100 yd rolls of tulle placed the edge on the edge of the cardboard clipped it in place with a hair clip. I marked the start edge with a dog clip so I would not forget which end I started at. I than rapped it around the cardboard 45 times counting 1 each time I came back to the dog clip. I than slid the tulle of the cardboard and cut along the edge that had the dog clip. 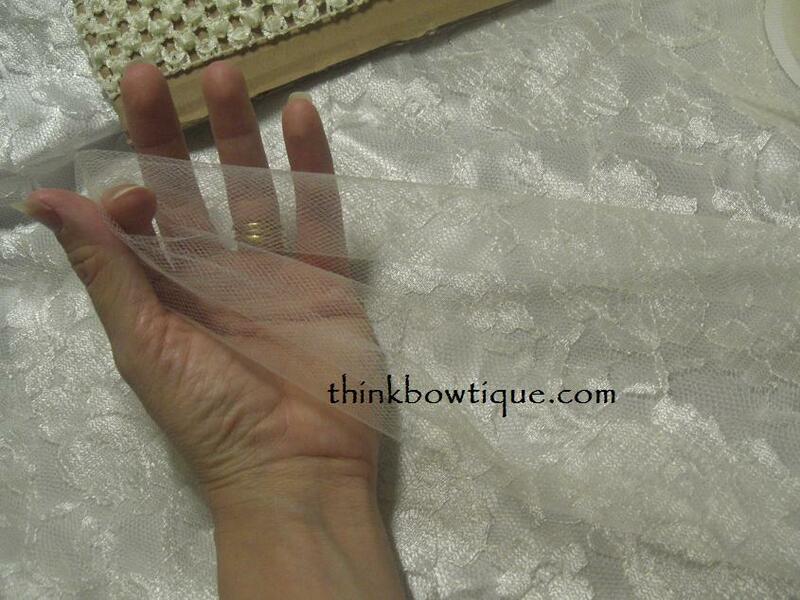 I did the same with the light pink tulle only this time I only made 15 lengths. I was a little worried about the tulle fitting in the holes, but it was not a problem. 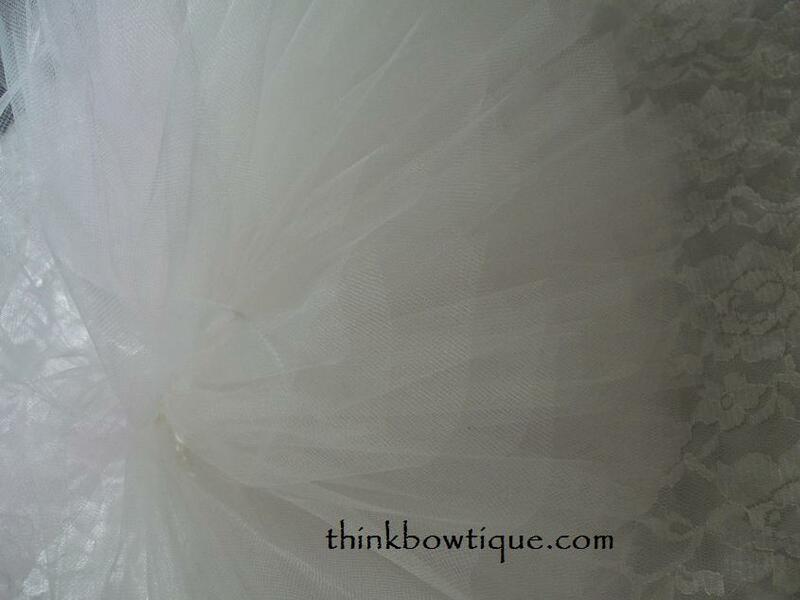 I gathered the tulle up in the centre. Than folded it in half. 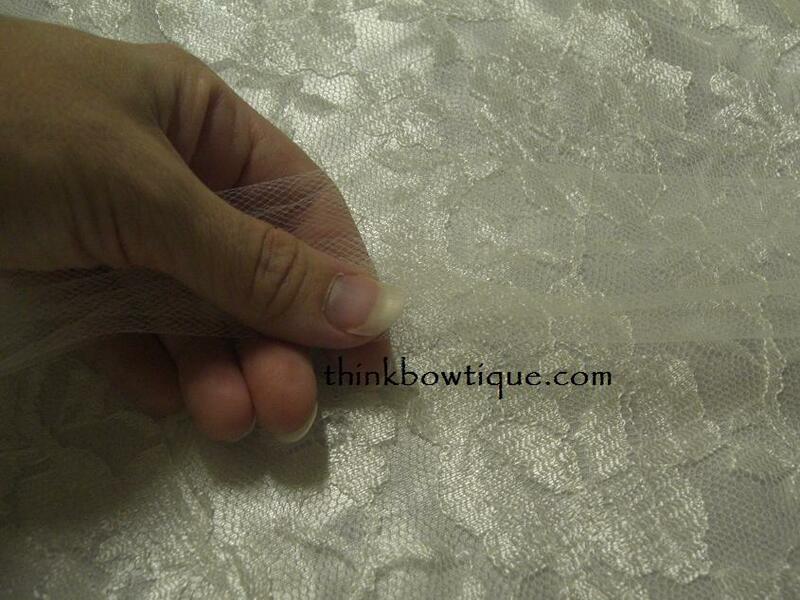 Feed the loop through the hole than pushed the tulle through the hole. 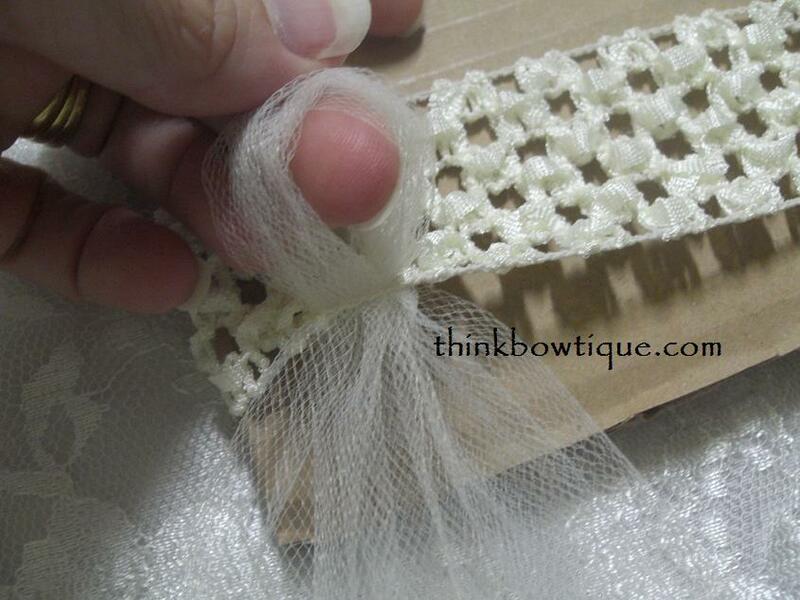 I continued to feed the tulle through each hole working my way around the headband. I than started on the second row. This time I did one ivory and one light pink. I am very happy with how full it came. My little model has on red undies, and it hide them pretty well. I might try using two pieces of tulle at the same time for each hole and see how that looks. 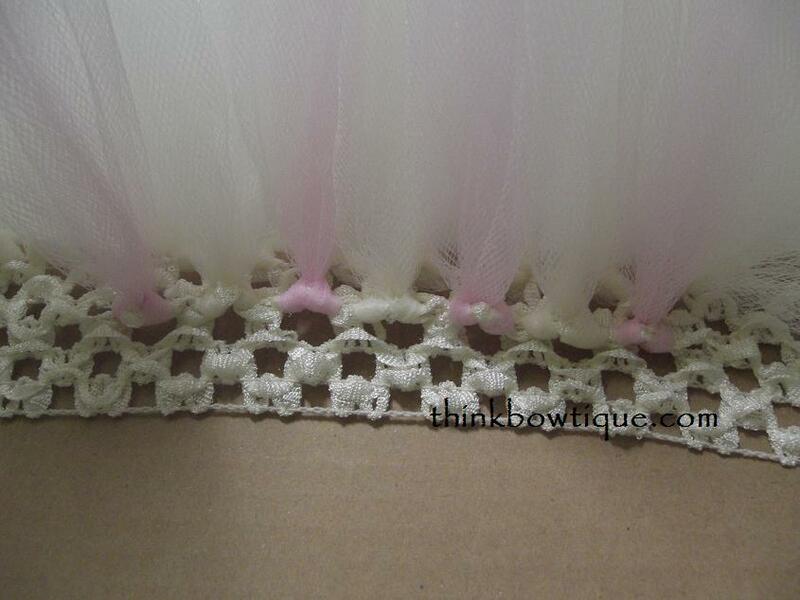 You could also make the tutu much fuller by filling each hole with tulle. Here is the tutu laying on it’s side. If you would like to have a go you can find the tulle rolls and crochet headbands on our website. We also stock crochet tops, flowers and ribbons to embellish your tutu’s. If you liked my little tutorial please share a link back to us. You are welcome to use one photo only. DO NOT COPY THE WHOLE POST. I am so trying this, I have a princess that would love one or two…or more 😉 of these. That looks fantastic! I’ve been using your crochet headbands to make tutus for a while now, I love using them! The only thing I do differently is feed each end of the tulle through a hole each (having two ends through the same hole) until I’ve finished all the way around. Then do a single running knott finishing with a double knott when I get back to the beginning. Although your way looks much faster 🙂 great work Melissa! !